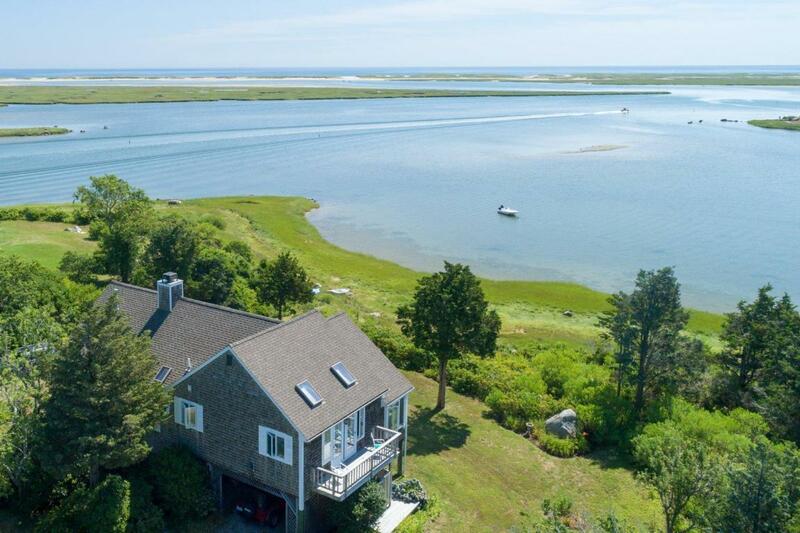 Incredible waterfront setting surrounded by conservation land on Snow Point in East Orleans with views of Rachel's Cove.Woods Cove Nauset Harbor and the Ocean beyond from nearly every room. This home has been renovated and raised high above the flood elevation to withstand the worse storms. Open floor plan with gleaming wood floors, high beamed ceilings, large deck and a delightful sun porch overlooking the ever changing salt water views. Association mooring and deeded beach rights. Floor Insurance available as a prime residence for $404. 2nd Home $250 more. Directions to Property: Main St to Tonset Rd. Left on to Freeman Ln. Right on Bufflehead Ln to #33 on right.